Assumes Full-capacity operation with 18-second dispatch interval. 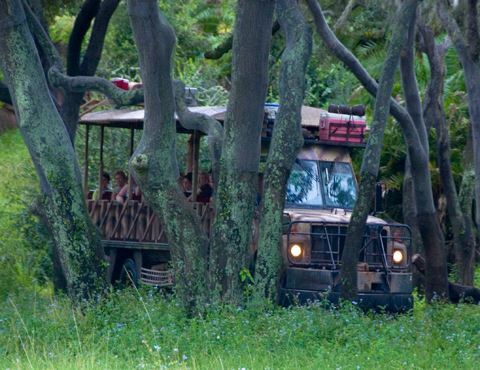 We have experienced Kilimanjaro Safaris a countless number of times and had a different experience on each trip. We've even tested the ride at different times of day and have managed to see different animals at all times of day. The animals are a little more active in the morning, but which animals are near the path of the truck is still random. The nighttime version of the Safari is a slightly different...animal (sorry), although the most impressive part is the background prep that Disney had to do. They spent more than a year acclimating the existing animals, and new nocturnal species such as hyenas, to life in a theme park. Then they installed a baseball stadium–size wall of graphics displays at the far end of the tour’s savanna grasslands. When turned on late in the day, the displays are programmed to simulate the dusk of a setting sun for hours on end. 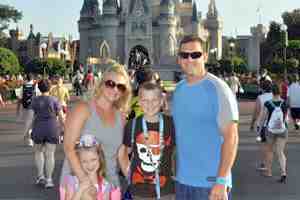 It provides theme park guests enough light to see those animals still roaming around. 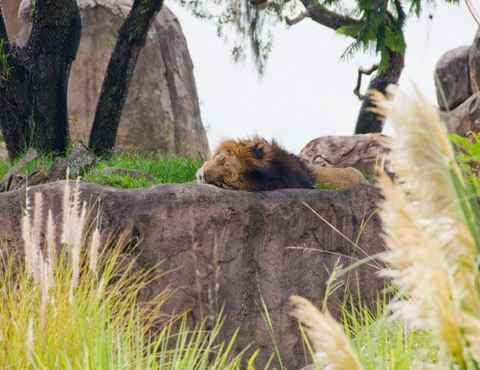 The pace of the nighttime safari is slower, and some of the animals are noticeably more active at night. But it is also almost impossible to see other animals, such as the hippos, crocs, and elephants. 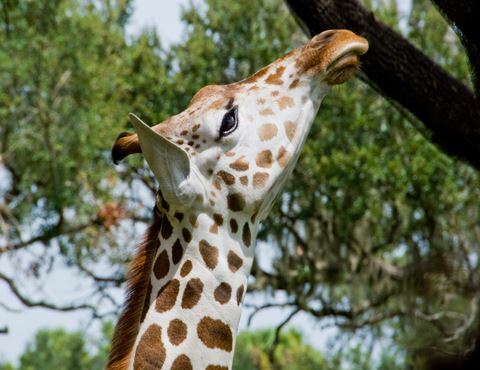 We think the nighttime safari is an excellent second visit to the attraction, after you’ve seen it during daylight. 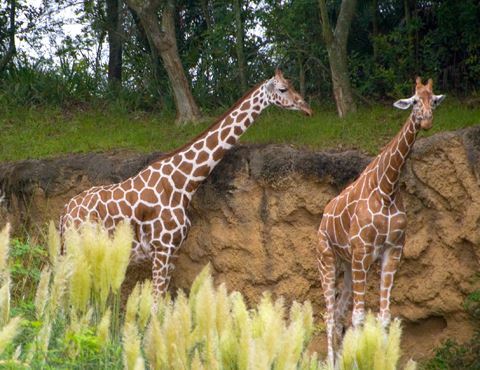 Winding through the Safaris is Disney’s Wild Africa Trek, a behind-the-scenes tour of Animal Kingdom that takes you into several of Kilimanjaro Safaris’ animal enclosures. As you drive past the hippo pool or over the crocodile pool, look up for a series of rope bridges towering far above the ground—you may see Trekkers on tour. Kilimanjaro Safaris is in the second tier of Animal Kingdom attractions with Expedition Everest — Flight of Passage is alone in the top tier. 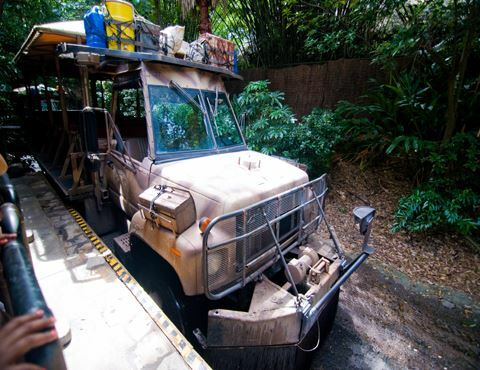 Our Animal Kingdom touring plan has you obtain FastPass+ reservations for the Safaris in the late morning, just after exploring Pandora. Waits for Kilimanjaro Safaris diminish in late afternoon, sometimes as early as 3:30 p.m. but more commonly somewhat later. If you want to take photos, keep in mind that the vehicle isn’t guaranteed to stop at any location, although the drivers try their best to do so when big animals are sighted. Be prepared to snap at any time. As for the ride, it’s not that rough. Finally, the only thing that a young child might find scary is crossing an “old bridge” that seems to collapse under your truck, and effect that is only turned on during slightly slower periods of the day. This chart shows you roughly how long you'll wait for Kilimanjaro Safaris when you visit on a day with a given Disney's Animal Kingdom Crowd Level. The blue bars represent the average "peak" wait time (that is, how long the line will be at its busiest). The bottom and top black lines represent the range of peak wait times to expect (for you fellow nerds out there: it's the 5th percentile and 95th percentile of peak wait times). Please note that these are estimates, and for a better forecast for your travel dates, see Kilimanjaro Safaris Wait Times.